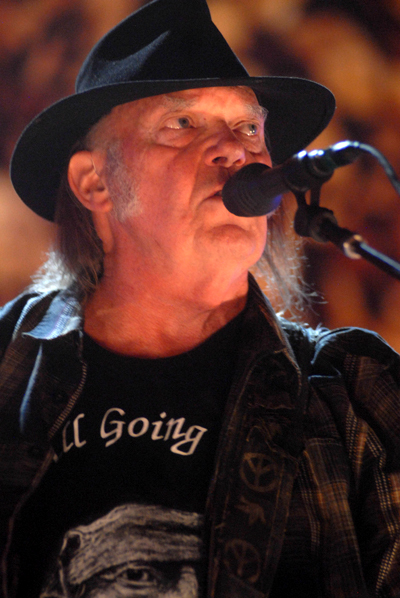 Already contending with complaints about its lineup and the fact the concert won't be at the original one's site, the Woodstock 50th anniversary festival organizers have now delayed the on-sale date, raising doubts in some quarters as to whether it will happen. Michael Lang insists it is still on. Nick Mason invited his former Pink Floyd band mate Roger Waters to join him Thursday (4/18) in New York City. Alan Parsons first new album in a long while includes a song with former Foreigner front man Lou Gramm. The album drops April 26. Rush is up on blocks, but Geddy Lee was out and about Wednesday night (4/10) in Toronto to join the Claypool Lennon Delirium on bass at the Danforth Music Hall. 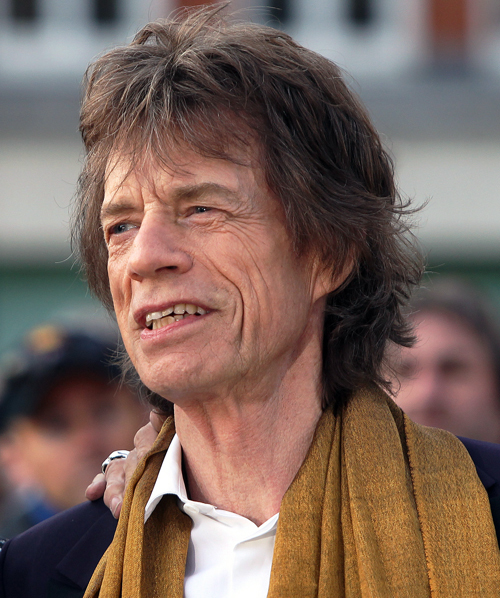 Just days after being booked to pinch hit for the Rolling Stones at the New Orleans Jazz & Heritage Festival while Mick Jagger recovers from a heart valve procedure, Fleetwood Mac has pulled out of the headlining slot on May 2 to give Stevie Nicks time to recover from a severe case of the flu. Here's one film we are def lookging forward to seeing! 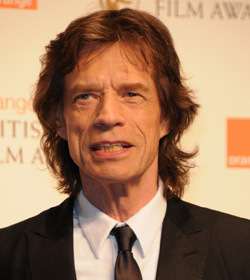 Legendary Rolling Stones front man Mick Jagger underwent successful, minimally invasive heart surgery to address a leaky heart valve at Presbyterian Hospital in New York City. 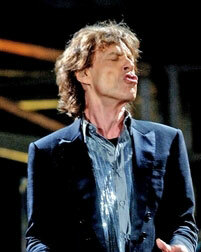 The procedure did not require the kind of full-scale operation that would have sidelined Jagger a good deal longer. 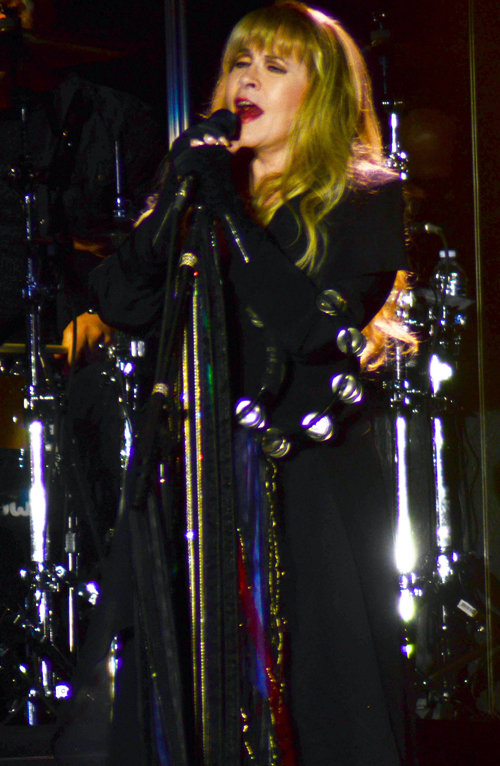 The band will still miss the Jazz & Heritage Festival gig scheduled for May 2 (Fleetwood Mac is stepping into that headline slot), and at least the early dates on their North American will need to be rescheduled, but overall, we're happy to pass along that things are looking a lot better than they did for Mick and the band just a few days ago. One of the great live albums of all time was recorded on this and the following night at the Fillmore East in New York City in 1970. 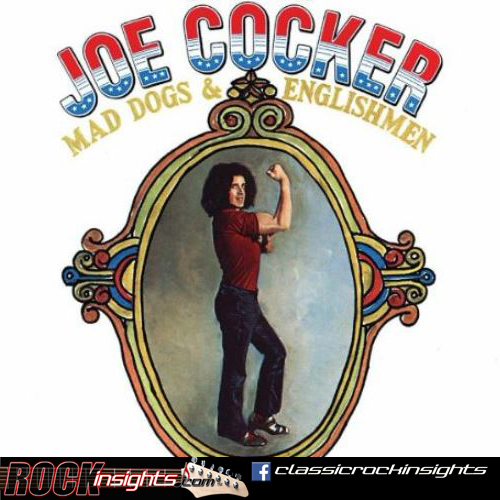 Mad Dogs & Englishmen featured Joe Cocker and Leon Russell backed by a great band that included a horn section and backing vocals from a choir that included Rita Coolidge, Claudia Lennear, and Pamela Pollard. Chris Stainton joined Russell on piano and organ, Carl Radle played bass, sax players Jim Horn and Bobby Keys were joined by Jim Price on trumpet, Don Preston played guitar and Jim Gordon, Jim Keltner, Chuck Blackwell and Bobby Torres provided drums and percussion. The album got released in August. Expanded editions have been released since, and the complete sets from both nights are now available. There is also a great film documenting the tour that includes lots of behind-the-scenes footage of what proved to be one of the wildest tours ever staged. Rockers of note born on 3/27 include Tony Banks of Genesis (1950) and INXS keyboards player Andrew Farriss (1959). The Grateful Dead's Jerry Garcia was arrested on drug charges during a traffic stop near Philadelphia on 3/27/1973. Scorpions released Love At First Sting on this day in 1984. U2 shot the video for Where The Streets Have No Name during a rooftop live set in LA on 3/27/87. And Sammy Hagar made his live debut fronting Van Halen on this night in 1987 in Shreveport, Louisiana. 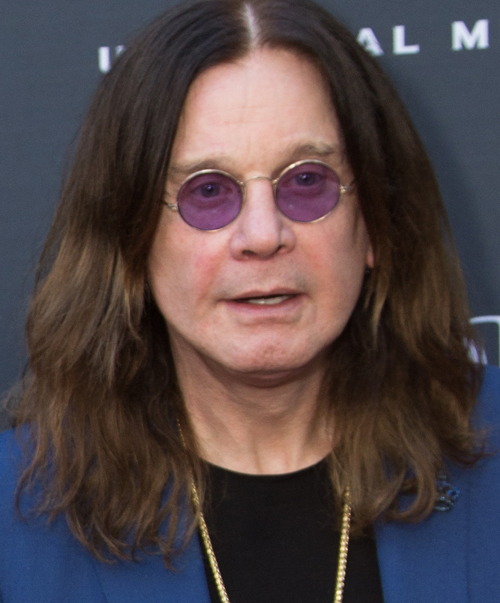 Few band members have been through as much together as Aerosmith's lead guitarist and their front man. Here's Joe Perry's birthday message to Steven Tyler and Tyler's reply. Billy Joel's monthly concerts at Madison Square Garden have resulted in some great guest drop-ins. This week, John Fogerty was in the house to join the Piano Man on this CCR classic. 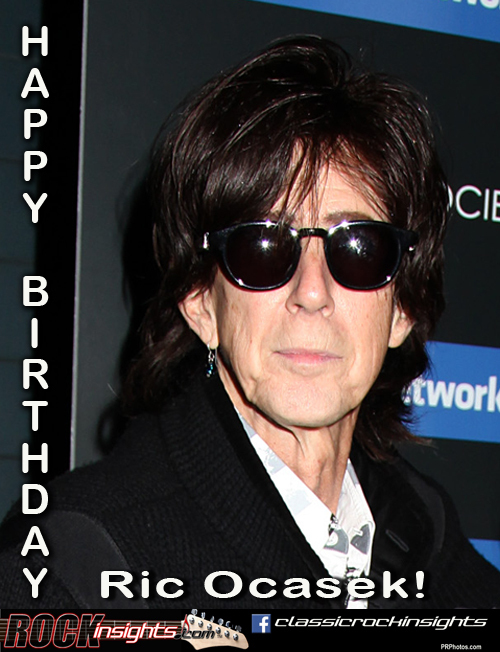 Ric Ocasek, front man and rhythm guitarist for The Cars, was born today in Baltimore. After moving to Cleveland with his family at 16, Ocasek met bass player Ben Orr and the pair began promoting concerts together in the Columbus area in the early 70's. The two also played together in a few other bands before relocating to Boston and starting a harmony based folk rock group named Milkwood. A subsequent group called Cap'n Swing added guitarist Elliott Easton and caught some airplay on WBCN. After recruiting Modern Lovers drummer David Robinson to join them and re-adding Milkwood member Greg Hawkes on keys, the group shifted gears, becoming The Cars in 1976. 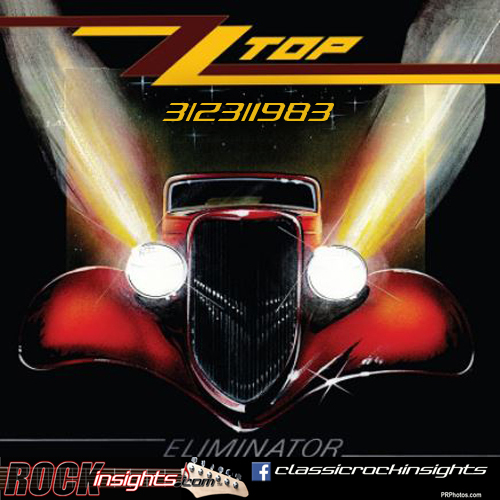 ZZ Top released a couple of albums on March 23. On this day in 1983 the blockbuster Eliminator got its release and on 3/23/90 Recycler came out. The Red Rocker, Sammmy Hagar, earned his spot on the Bay Area Music Walk Of Fame during a ceremony on this day in 2018. Keith Relf of the Yardbirds was born on this day in 1943. Bob Dylan's Bringin' It All Back Home got released on 3/22/1965. 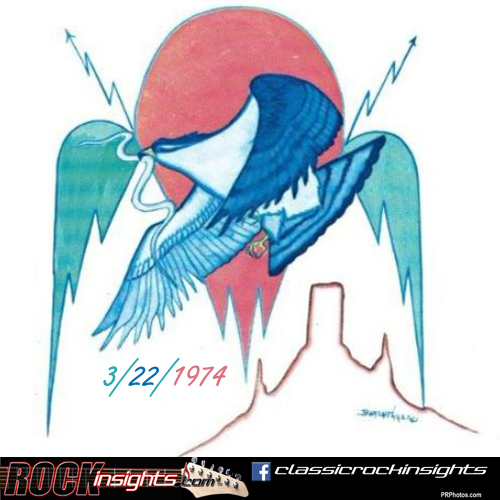 On The Border was released by the Eagles on this day in 1974. The group's third studio album introduced a shift into a more of a Rock mode with the addition of Don Felder to the group and the decision mid-way through the recording to replace Glyn Johns as producer with Bill Szymczyk, who had impressed them with his production on future Eagle Joe Walsh's 1973 album The Smoker You Drink, The Player You Are. Aerosmith played on Saturday Night Live 3/22/1997. Happy birthday to The Money Man, born on this day in 1949 in New York City. With his father, a grandfather and brother int eh NYPD, a young Edward Mahoney enrolled as a trainee in the department, but the lure of music proved stronger than the appeal of a career in law enforcement. Moving to the Bay Area of California, Eddie established a solid performing reputation playing San Francisco and East Bay clubs in the mid 70's and landed a recording contract with Columbia Records.His debut album, released in December of 1977, remains the biggest release of his career, which includes 10 additional lps. 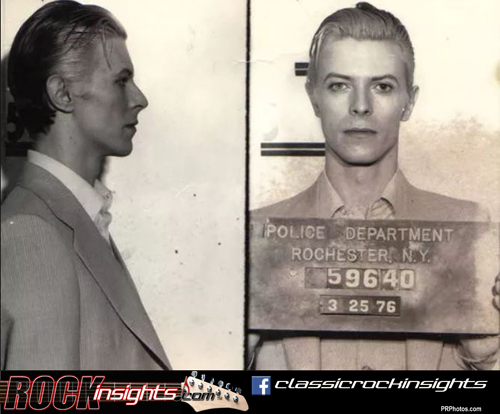 David Bowie and Iggy Pop got popped in a drug bust in the Americana Hotel in Rochester, NY after a concert in the city on this night 0n 3/21/1976. Bruce Springsteen won an Oscar for Streets Of Philadelphia on this night in 1994. AC/DC's Brian Johnson joined Billy Joel on Highway To Hell during one of the Piano Man's concerts at Madison Square Garden on 3/21/1994. For some reason, David's mug shot was not taken until days after the arrest. Mike Campbell and Neil Finn rehearsed with Fleetwood Mac for the first time on this day in 2018 after having been invited to replace Lindsey Buckingham in the group.